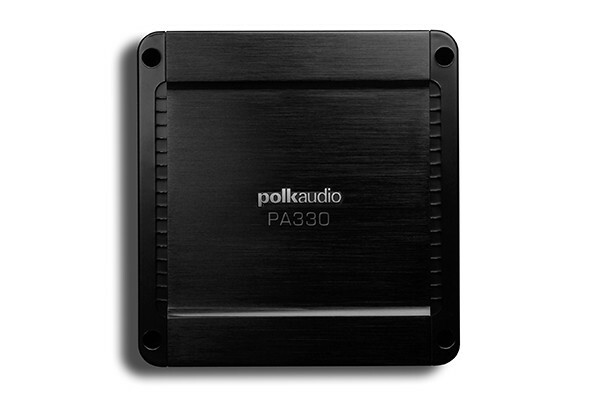 The PA 330.2 is a two-channel class A/B amplifier with built-in fully variable high-pass and low-pass crossover capable of producing 75 Watts x 2 RMS continuous power @ 4 ohm. It's also capable of bridged one-channel operation with a maximum power of 300 Watts into 4 ohms. Dimensions With Panels - Depth 8 1/8 (20.64cm) "
Dimensions With Panels - Height 1 15/16 (4.92cm) "
Dimensions With Panels - Width 7 3/4 (19.68cm) "